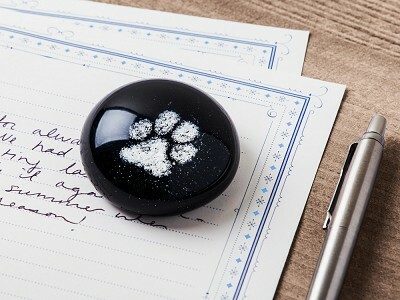 TZ Glass by Tari Zarka is a lovely and sentimental way to keep a pet’s memory alive after they pass on. 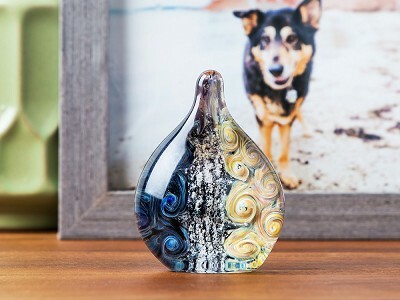 Each glass piece of art is carefully handcrafted by Tari to incorporate a pet’s ashes into a suncatcher, paperweight, or pendant that are all made for a lifetime. 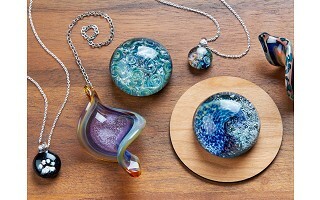 In her Pennsylvania studio (housed in her grandparents former hosiery mill), Tari carefully positions ashes into borosilicate glass while it’s being crafted in fire. 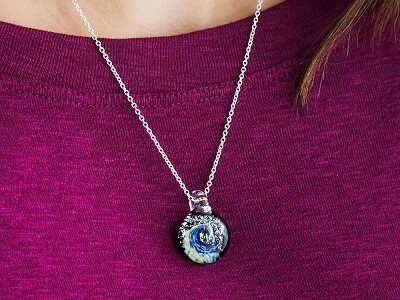 Her original designs incorporate earth tones to symbolize a pet’s time spent here, and blues to represent their spirit moving on. 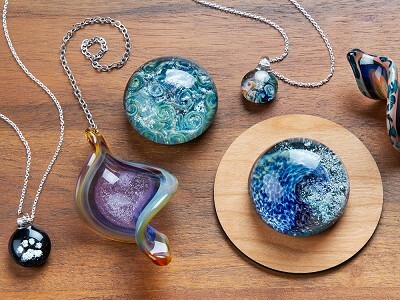 Tari had been a glass artist for years, but incorporating pet ashes into her work is something new for her. A client request for a pet memorial started a new journey for Tari, whose beautiful pieces light up spaces—and lives—with loving meaning. 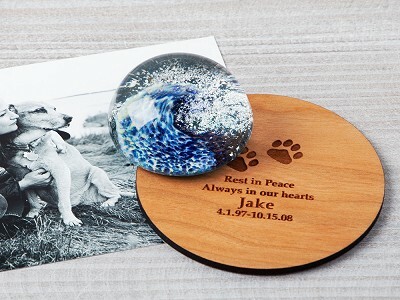 How do I get the finished product with my pet’s ashes? Be sure to submit your email at checkout. There are instructions on how to send in your pet’s ashes. 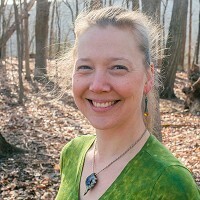 Tari will contact you via email as well. 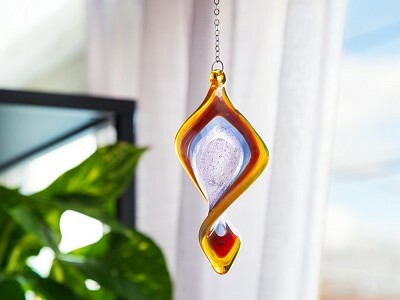 Please note there is a lead time of four weeks to handcraft each product. Are the pieces limited to the ashes of pets only? Yes. Due to the constraints of mailing human remains and sensitivity of the subject matter, the artist is not offering to create any jewelry or sculptures with non-animal remains.